A food, lifestyle, and parenting blog. Happy autumn, everyone! In celebration of this change in seasons, I felt it appropriate to post a soup recipe (remember when I used to do that all the time?). Well, now that the temperatures are steadily dropping, it seems only fitting that I should get back to making more of the food that I love soooo much I named an entire blog after. 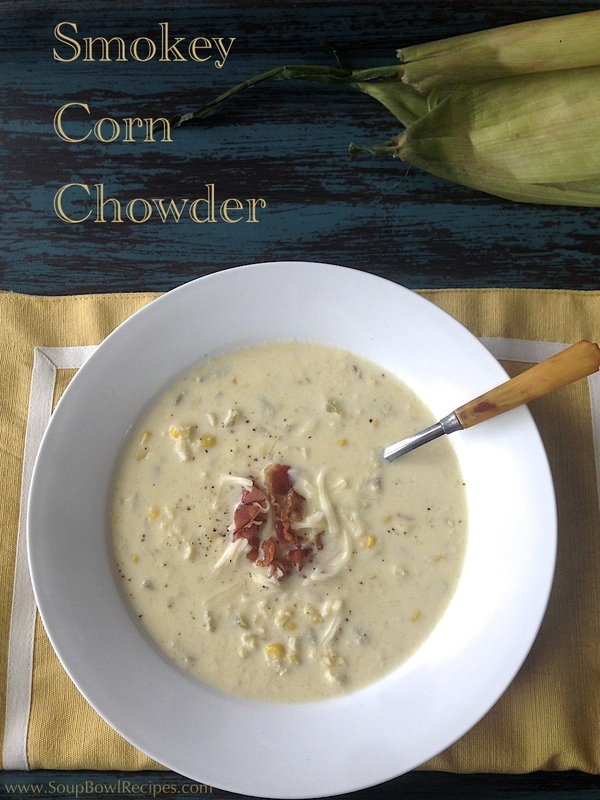 But rather than jumping in feet first with a hearty stew, I thought it best to tiptoe into fall with a light and flavorful chowder. Seasoned with warming spices like smoked paprika and chilies, this soup is the perfect way to take the edge off of a brisk day, AND it has the added bonus of using up all that leftover summer corn that’s taking up valuable pumpkin space at the supermarket. So come on everyone, let’s get our autumn on! 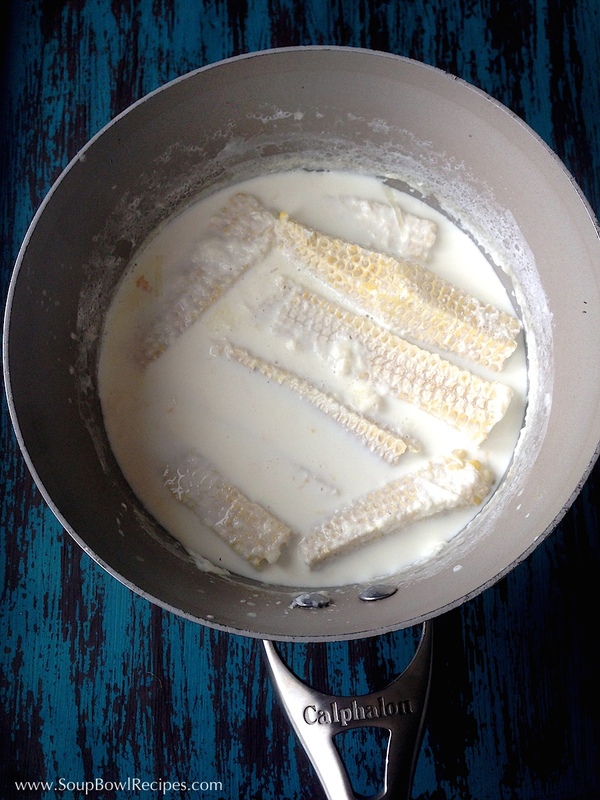 In a medium saucepan, add half & half and reserved corn cobs (you may need to break them in half if they’re too long for your pot) and bring to a simmer. Simmer, uncovered, for 20 minutes. With a pair of tongs, remove cobs from the saucepan and squeeze to extract as much liquid as possible. Discard cobs. Meanwhile, in a large soup pot set over medium-high heat, melt butter. Add leeks and ¾ of the corn kernels and sauté until tender, about 5-8 minutes. Add stock and bring to a boil. Once boiling, immediately reduce heat to low and simmer, partially covered, for 20 minutes. Add reserved half & half and stir to combine. Using an immersion hand-blender, purée soup until smooth (or alternatively, working in two batches, purée soup in a blender or food processor until smooth, then return soup to pot). To the puréed soup, add remaining corn kernels, green chilies, smoked paprika, chili powder (if using), salt, and pepper, and stir to combine. Allow soup to simmer for another 15-20 minutes, or until it thickens. 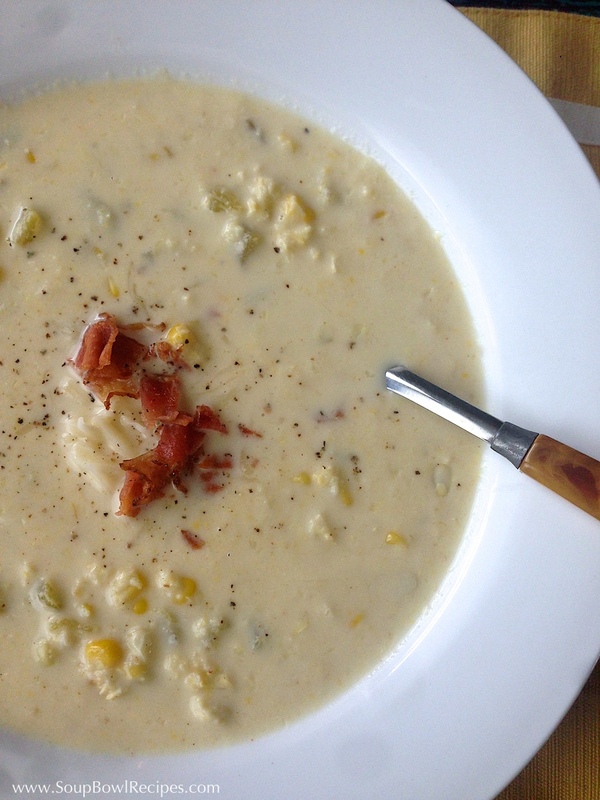 Ladle soup into pre-warmed bowls and top with a sprinkle of cheese and a pile of chopped bacon (if using). Season with fresh cracked black pepper. 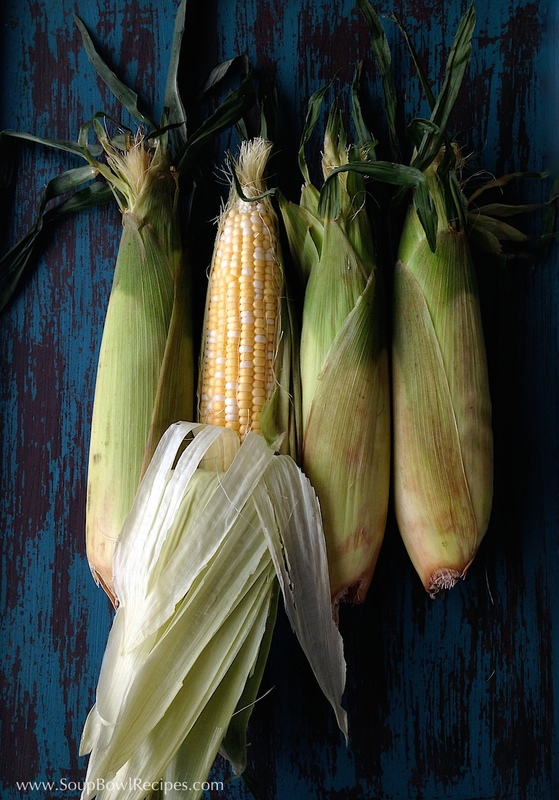 Remove husk and silk from corn cob and discard. Cut the stem off the cob to form a nice flat base. 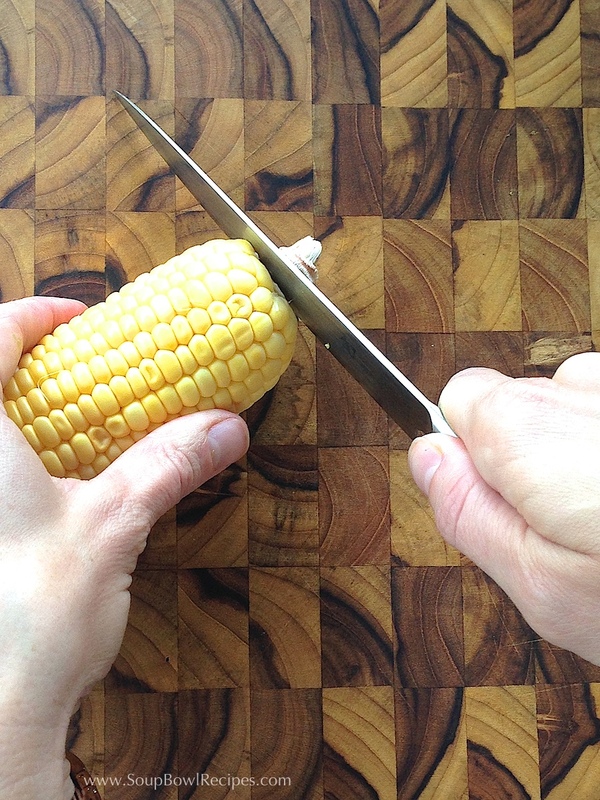 Stand cob upright on a cutting board. 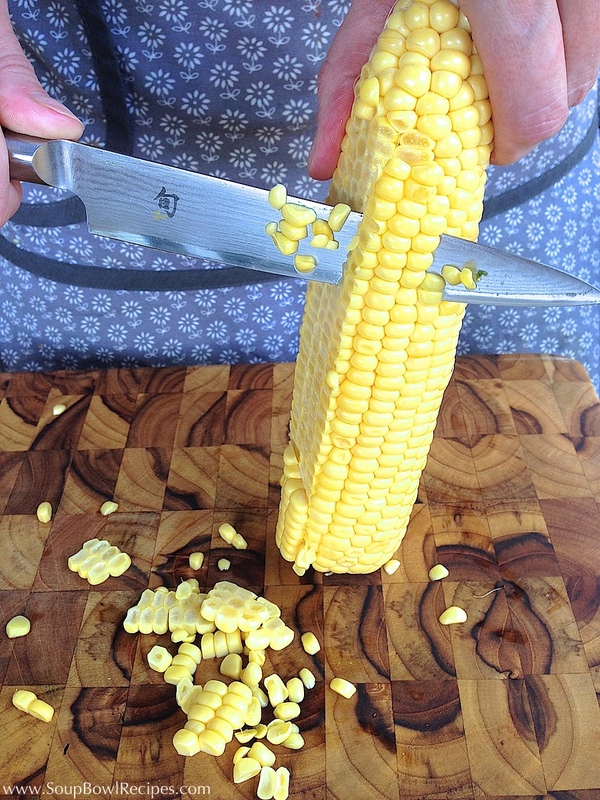 With a very sharp knife, run your blade as close to the cob as possible from top to bottom, cutting away corn kernels (be careful because these suckers are like popcorn and will shoot off in a bunch of different directions!). Turn cob and continue cutting down until all the kernels have been removed. 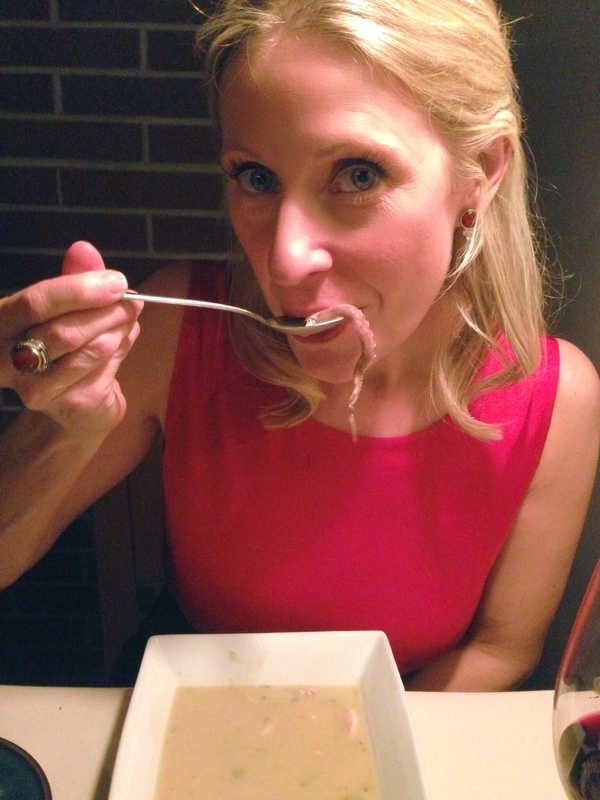 Enter your email address to follow Soup Bowl Recipes and receive notifications of new posts by email.